Don't just plan a regular old trip with your significant other, make it a romantic getaway. From the Adirondacks to Lake George and beyond, there are always plenty of wonderful romance packages that will make for an unforgettable getaway. Take a look at this wide variety of featured romance packages, and start planning today! Note: Where applicable, we've noted if the romance package has an expiration date, and if there is a set price per package. If you have questions about a specific romance package, be sure to contact the business ahead of time. 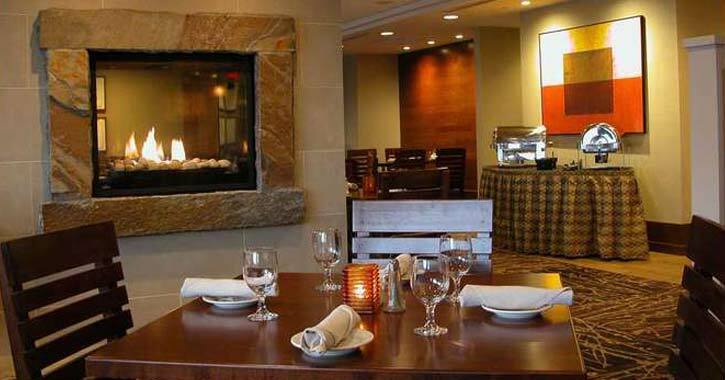 Located near Gore Mountain, The Alpine Lodge offers a great romance package for couples. For $465 per couple, the package includes a two-night stay in a Standard King Guest Room, a $50 gift card for dinner at any local restaurant, a $15 gift certificate to barVino to purchase any wine/sparking wine, a dozen arranged roses, and more. Enjoy the romance, and then spend some time skiing over at Gore. Enjoy the Adirondacks in winter with this romance package from the Fern Lodge in Chestertown. Their Adirondack Winter Romance package includes a two-night stay in ultra-luxurious Adirondack style lodging with a fireplace in your room, a multi-course breakfast each morning, a seasonal bouquet of flowers, chocolate truffles, and more! Add some romance to your trip to Golden Arrow Lakeside Resort. The romance add-on package is $100, and it includes a bottle of wine, two commemorative wine glasses, a corkscrew, a coupon for wine tasting for two at Goose Watch Winery, and breakfast in bed. 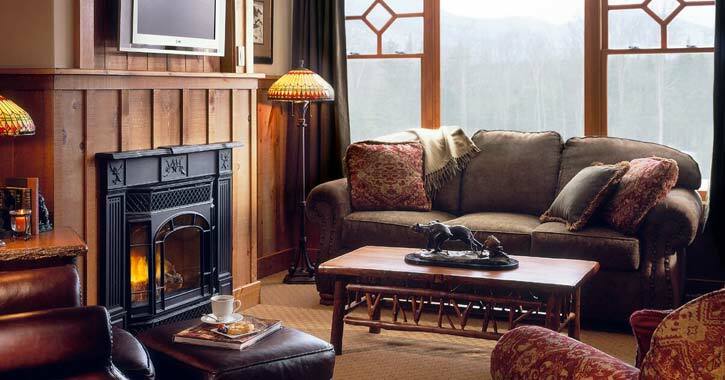 The Whiteface Lodge in Lake Placid offers a lot of different getaway packages, but if you want a romantic getaway, then you should check out their Rustic Romance Package. The details of this package include luxury accommodations in a one bedroom suite, a relaxing tandem massage at the spa, chocolate dipped strawberries and champagne in suite upon arrival, and more fantastic amenities. 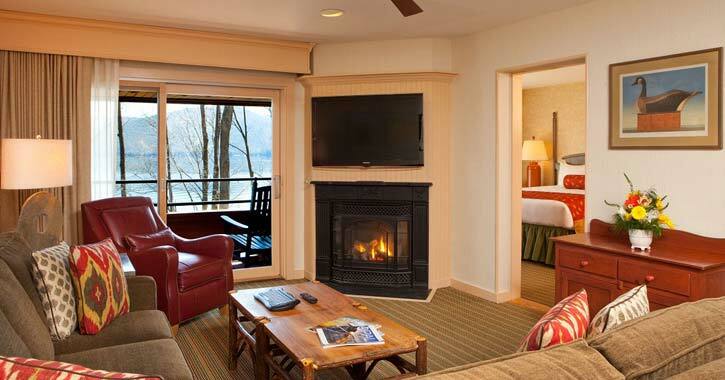 From October 15 through May 15, Holiday Inn Resort - Lake George is offering a special getaway for couples. This romance package includes a two-night stay with a dinner and breakfast for two in TR's Restaurant, a bottle of champagne, and two drink tickets for the lounge. Prices start at $349. One of The Sagamore's current romance packages is called the Opal Romance Package. Rekindle your romance in Lake George at one of the regions' premier resorts! The package includes a one-night stay in The Lodges or Historic Hotel, dinner at one of their signature restaurants, sparkling wine and strawberries, and more. If you're planning on staying at The Lamplight Inn B&B, add some romance to your stay. 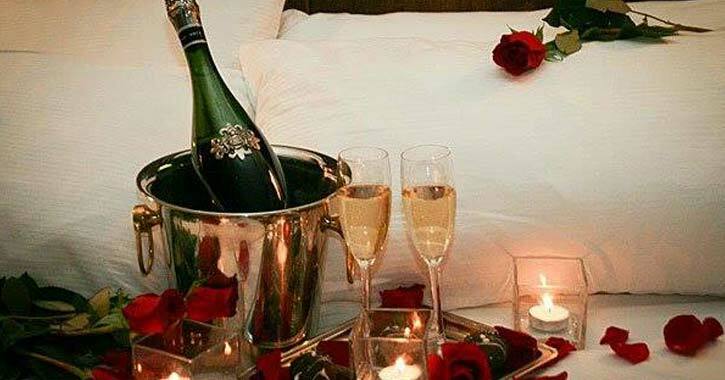 Their INNdulge Yourself romance package is $79, and it includes a long-stemmed rose in a bud vase, a bottle of house champagne, two engraved Lamplight Inn champagne flutes, and a fruit and cheese platter. 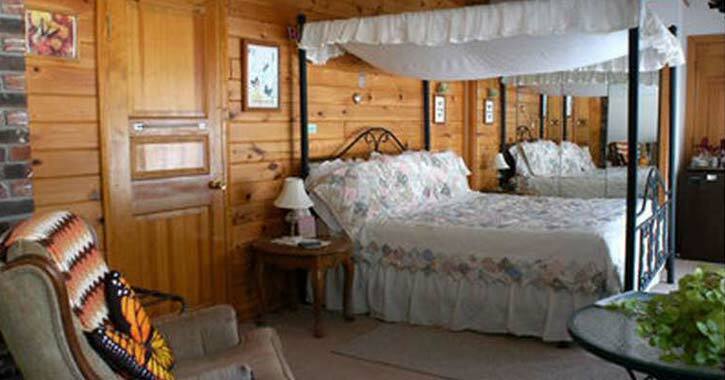 Located just a few miles outside of Lake George, Alynn's Butterfly Inn is perfect for a romantic getaway. For around Valentine's Day, you'll want to check out their Romance Weekend Package. This deal includes a two-night stay in a luxurious room, flowers, chocolates, a dinner for two at a local restaurant, and more. 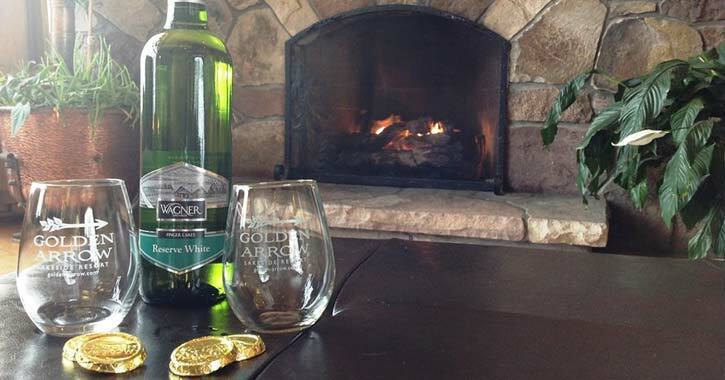 If you're a wine lover, then book Sleep Inn & Suites Lake George's Adirondack Winery Romance Package. The package includes lodging in a beautiful remodeled room or jacuzzi suite and an Adirondack Winery basket. The basket will have one bottle of wine, a wine tasting ticket for two, two souvenir wine glasses, a souvenir corkscrew, and much more. 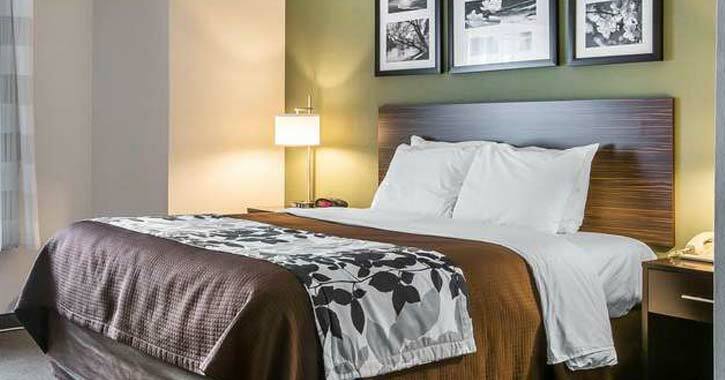 Country Inn & Suites is located between Lake George Village and Glens Falls. 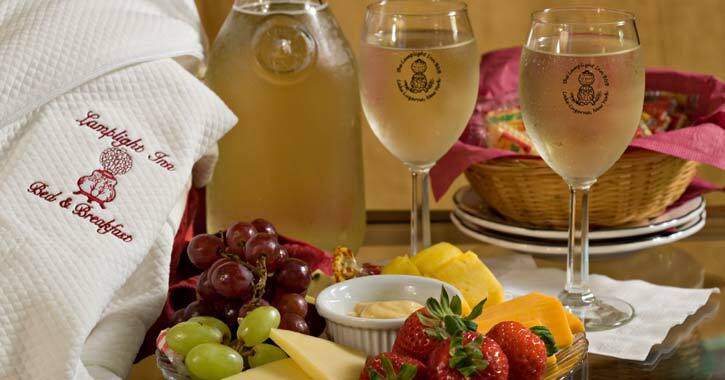 Their romance package includes a great wine basket from Adirondack Winery that contains a bottle of wine, gourmet cheese and crackers, souvenir Adirondack Winery glasses and corkscrew, and tickets for two for a wine tasting session.